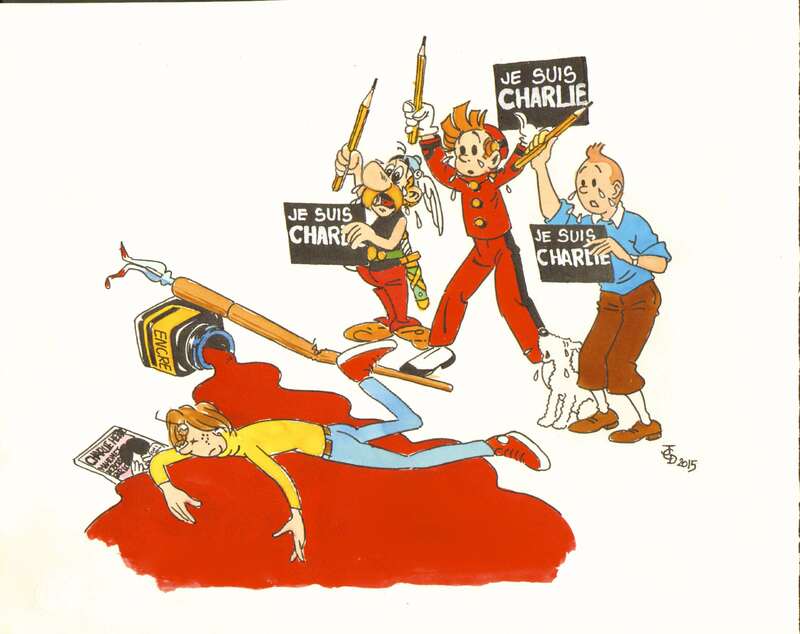 This entry was posted in France, Spirou, Tintin, Uncategorized and tagged Asterix, Cabu, Charlie hebdo, Duduche, Milou, Paris, Pilote, Spirou, Tintin by flinflins. Bookmark the permalink. So sad . . . .
Merci pour tes paroles qui traduisent exactement ce que je ressens, et tant pis si c’est un peu naïf. Thank you for your thoughtful, heartfelt and reasoned response. Wish I could have been there with you. There are many tragedies in our world today, both to human and to the environment. Because I am an artist, and part of an artist community, I hear much more about JeSuis Charlie. A fellow artist remembers. a very worthy reflection and moving tribute, well done.